BEYOND THE BOOKS is a weekly meme where KissinBlueKaren throws out a topic (mostly non-bookish), and we blog about it. 1. Dr. Seuss Book Of the Month Club. My father enrolled me when I was four and I can still see the white box the books came in and I remember how they smelled when I first opened the box. I made sure my son had a subscription, too. 2. The mom and pop corner store. Brown's was less than three blocks from my house. It had a penny candy counter. 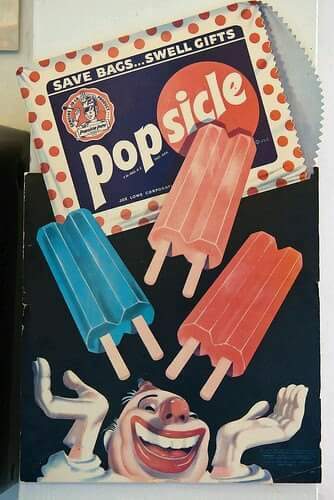 My dad would send me to get him a pack of cigarettes (all you needed was a note back then) and he would give me an extra 50¢ for penny candy or popsicles. I remember digging through the freezer treat cooler searching for a rare blue raspberry ice pop! 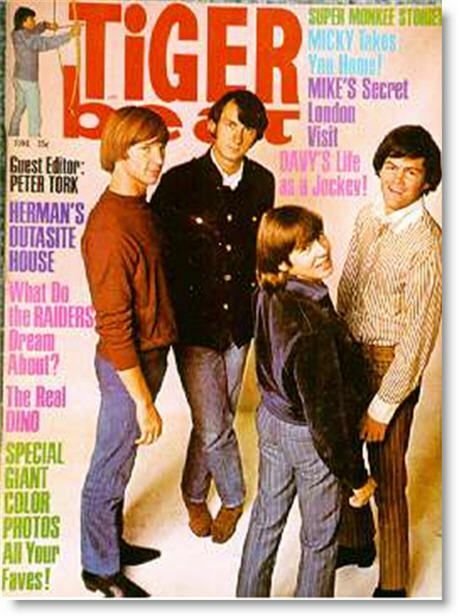 When I got older it was Tigerbeat and 16 fanzines with a bottle of Tab. The lunch counter I especially miss; from getting lunch with my grandmother and popping a balloon to see how much my banana split would cost, to getting real cherry cokes with my preteen friends and then taking our pictures together in the photo booth. I remember buying my mother a fancy handkerchief and perfumed bath cubes every year for Mother's Day. 4. 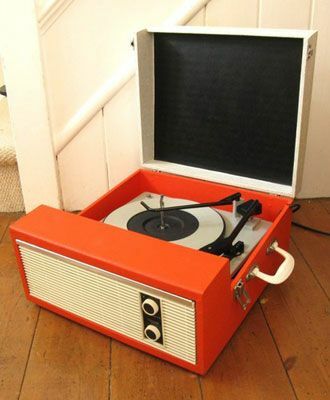 My portable record player and 45s. 6. Getting a new Easter outfit. 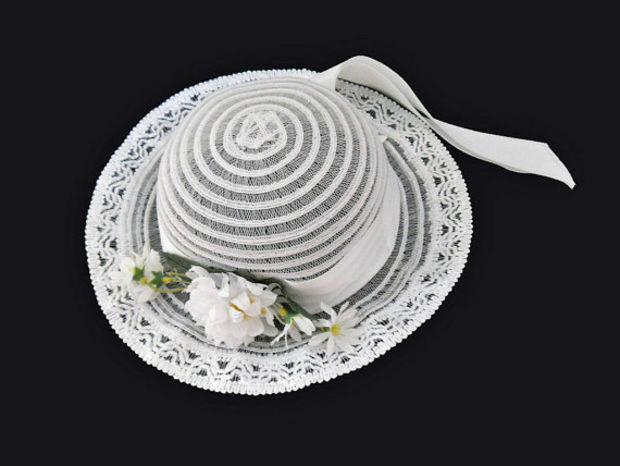 In the 60s this meant: bonnet (I think I had one just like the one above), dress, spring dress coat, patent leather dress shoes and matching purse, white gloves, and white lace trimmed ankle socks. I also received a necklace and a pin to wear on my coat in my Easter basket. My mother kept my hair short, so I always had a hair cut the day before. My mother never told me I was pretty and she tended to dress me very plainly the rest of the year, so it was basically the only time I received complements about my appearance. I associate feeling good about myself with Easter outfits. 7. Vacations on the Jersey shore. We went to Wildwood every other summer. I miss the boardwalk and the beach. I haven't been to the seashore since 1983. The NYC shoreline doesn't count. Ha ha. 8. Hanging with my dad. We listened to records and danced, played boardgames, fished, went out in his speed boat, looked through our encyclopedias, went to horror and sci-fi B movies on Saturdays, stayed up late on Friday nights to watch scary movies on television, watched The Flintstones and Rocky and Bullwinkle together, built models of Apollo spacecraft, went bowling and played minature golf, got pizza every Friday night, played with my slot car race track, camped (sometimes just out in the backyard), caught bugs in jars to look at, and went to the A&W Rootbeer stand when they still car hopped and put the tray on the window. I miss the summers at my parents' cottage with my friends and our exploring and games around the forests and the freedom of running around. I also miss the lunch times at home between the morning and the afternoon classes where I went to eat home and watch cartoons with my mum while I ate and we commented the episodes. I also miss the wonder and love for my library and the discoveries of all the books that were at my fingertips and the love for so many of them! I still love books, but the library looks and feel different to my grown up self. I was thinking about how different things feel as an adult, too. The excitement for things is different. I was thinking about had w excited I was for certain television shows to come on every week and how submerged I was in the show while it was on. Now I like shows, but there is not that same excitement. Oh my gosh! I could have written most of this! Are You My Mother is the book that started my love of books. I liked walking to our neighborhood store and buying candy and Iccee's. I loved getting new issues of all the teen magazines. I had a lot of heartthrobs hanging on my walls. That photo of Woolworths brings back so many memories. I miss my record player. I still have most of my albums but not my 45's. 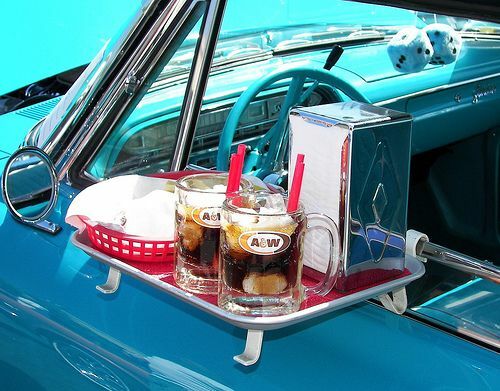 I don't really miss drive-in theaters because there's one about 10 minutes from my house that I go to. Getting new Easter outfits was so much fun. I loved the crispness of everything. My father had a brother who lived in New Jersey. I loved going to visit them and going to the ocean. I miss watching tv with my dad and brother. My mom was always upstairs doing something else. We'd always order pizza on the weekend and my dad would buy ice cream and big bags of candy bars. I still have lot of my albums, too. I still have all of my Monkees albums. Ha ha. But the records are not in very good shape. I love the covers though. I was looking forward to sharing Woolworths and the corner store with my son, but they both closed when he was a baby. I wonder what his fond childhood memories will be. Oh my goodness! There was a Dr. Seuss subscription box! 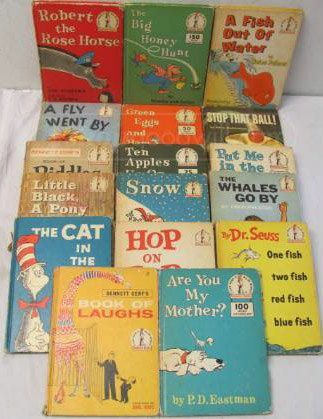 I looooved Dr. Seuss when I was a kid! I had a big yellow book containing a bunch of stories! Most memorable were, I think, Horton Hears a Who, If I Ran the Zoo, and something about haunted pants. There is a drive in theater in the town I live near that I go to a lot! It's so fun! It's not really fun to see movies that are really dark because you can't see anything. Animated, bright, happy movies are the best! It just isn't dark enough around that area for darker movies. I loved hanging out with my dad when I was a kid too! We always watched the show Rescue 911 together! I wish that show was still on! Other things I miss: my mom's cooking (she moved to Indiana when I was 16, she didn't die or anything), hanging out with my cousins at my grandparents' house, having friends (LOLLLL). Being a kid was just way better. This was a neat post! I love this! I'm trying to think of what I miss the most from my childhood. I think I miss how magical everything seemed. Summers seemed to last forever. I miss afterschool play dates (only we didn't call them that back then). I miss the Seattle Center's amusement park and all the weird rides there. I miss hanging out at my grandparent's house. I miss chasing around the llamas at my uncle's house. I miss sleepovers. The Dr. Seuss book club looks amazing! I had forgotten about one that I was part of but I got 2 books every month like Bread and Jam for Frances and The Napping House. I loved it! I've never been to a Woolworth's but that lunch counter sounds fantastic! I think book clubs are so wonderful for kids because the waiting for the book makes books exciting! 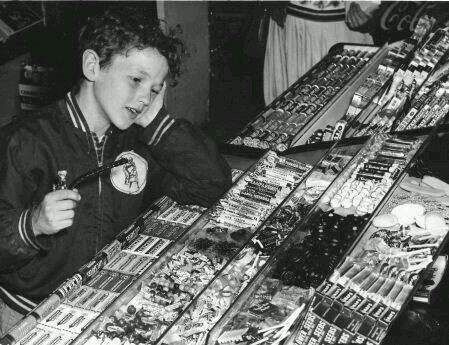 I miss penny candy too! When I was little I would go down to Nye, MT to visit my grandparents at their cabin/house- there was a general store that still sold penny candy (tiny penny candy, but it still only cost a penny a piece). We would also hike in the trails thereabouts and then tube down the river (when it was warmer, but it was fun). I could still do some of those things, but there's something special about doing it when you're a kid. I used to go river tubing as a teenager. Wow, and I had forgotten all about that! Except, I could have added it to my Scariest Moments post. There were some small rapids where we tubed on the Delaware that at times were pretty fast and I got tipped and pulled under a couple of times and that was it for me! Ha ha. I would love to tube on the slow moving river here, but it is illegal. Grandparent memories are great, arent't they?